Add some color to your ride with the Fyxation Gates Platform Pedal. 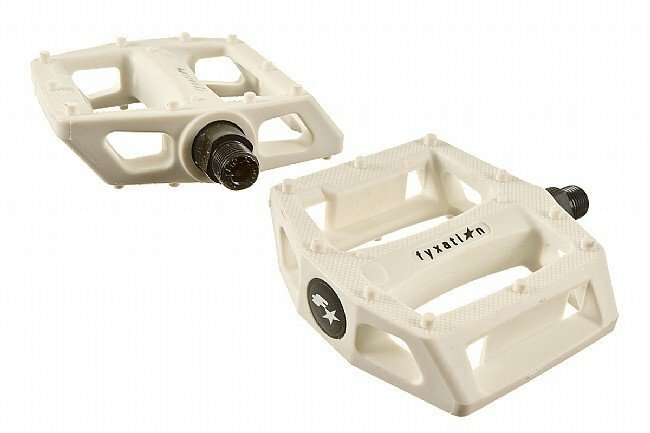 The high-impact Nylon body is designed to withstand the worst freeride, BMX and urban abuse, with a comfortable shape and molded surface pegs for extra traction. Loose ball bearings spin on a tough Chromoly spindle for reliable performance and easy service. Toe-clip compatible. Height: 22.5mm. Width: 105mm. Claimed weight: 406g/pair. Available colors: Black, Green, Orange, Pink and White. A perfect match to Fyxation tires. Love these, perfect color to be seen and offset the graysilverblack of my bike. Cheap and strong. could use better bearings but not real complaint from me. This is the second pair I got from you guys and they hold up. 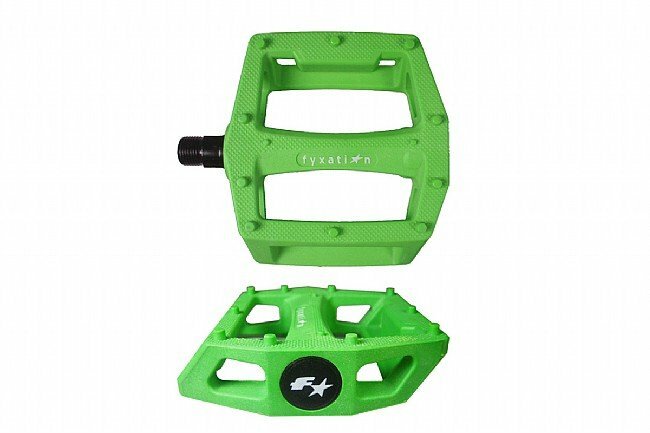 One for my mountain bike which takes a beating since I'm still kinda fat, and these green ones for my commute bike. Tough, lightweight and relatively inexpensive. Super grip with 5.10's. Great product! Put these on my everyday around town street bike so I don't have to wear my cleats. They are large and provide a good solid feel. The short pins provide good traction on my running shoes. 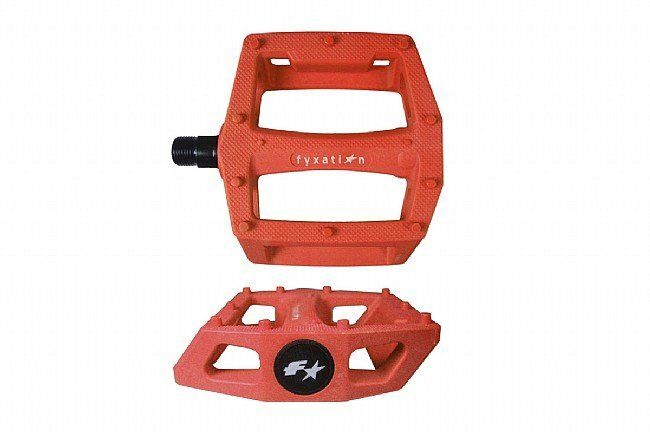 Solid pedals, but quite large. 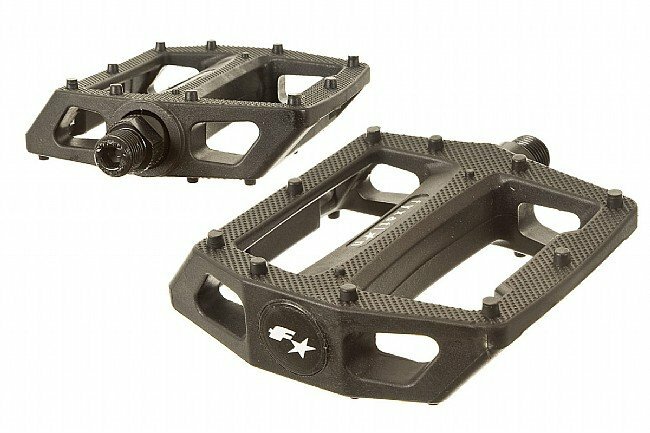 I use these with fixation straps so i can cruise around without SPD shoes. they are really big and i'm not used to the look on my stripped down Pista, but otherwise they are solid and grippy.